We understand that the flow of timely, accurate information is key to productivity. That’s why our ergonomically designed warehouse forklifts and fleet management systems are vital in buying precious operator time. Our reach trucks, low and high-level order pickers, stackers and sit-on pallet movers are ideal for maximising efficiency inside both warehouses and distribution centres. Our EO series of high-level order pickers are perfect for warehouse use, as they provide operators with maximum visibility. Their ergonomic design increases operator alertness and enables workers to function safely in restricted areas. These sophisticated machines reach previously unattainable heights, maximising output with complete operator comfort. 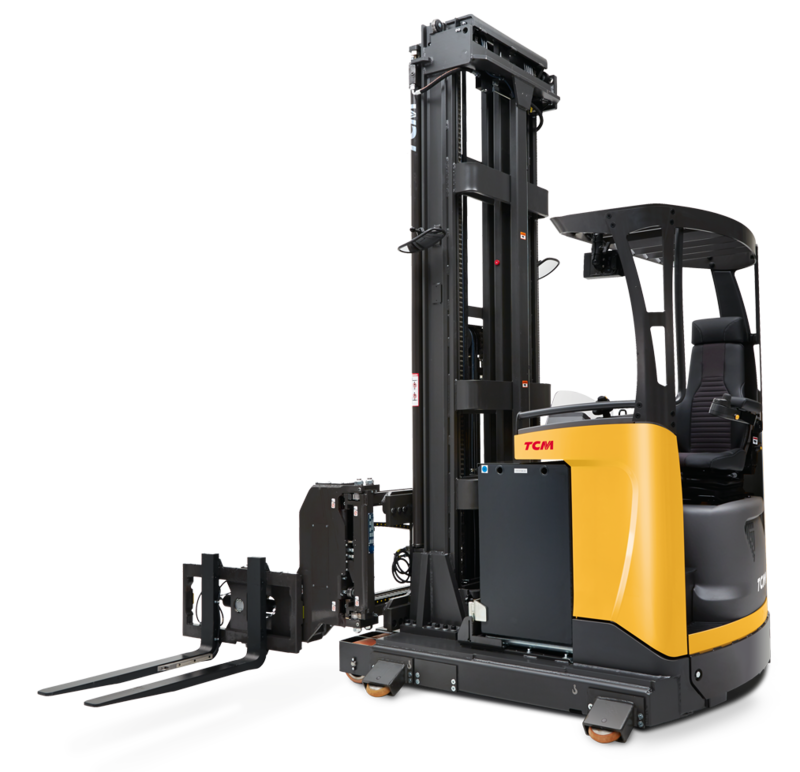 Our man-down VNA RTS swivel reach truck combines the benefits of a high-level warehouse order picker and a narrow aisle reach truck for maximum efficiency.